Your success is at the heart of what we do. Your specialist for every type of packaging. hertel - boasts 60 years of experience, 65 members of staff and ultra-modern production facilities. 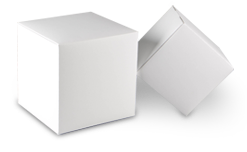 We offer bespoke packaging solutions for every purpose and sector. And all this from under one roof: we perform every step from development and packaging production through to punctual delivery. We are experts in the business, but we also have the right technical set-up for economically viable top-quality production: Heidelberg for printing, Bobst for punching, Stock for laminating, Emmeci for covering etc. Advanced CAD technology is used in our packaging development department. We produce just-in-time. We have 2 000 m2 of warehousing space. As a result, we have numerous sorts of paper, cardboard and card ready to hand. The advantage of that: We can produce your particular packaging rapidly whenever you require it. We have set high standards for ourselves in order to supply you with the highest quality possible. Our production processes have been optimized in line with ISO 9001:2000. Protection of the environment is also something we at hertel prioritize. Our new, low-emissions production facility requires no fossil energy resources and conserves energy.